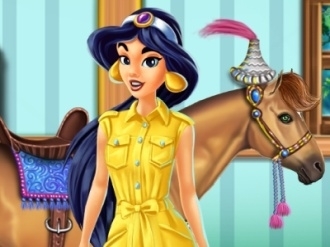 The royal horse needs a little bit of pampering today and because Jasmine loves her horse so much decided to get him to the horse hair salon in this animal game. Spoil him and make him look like the stallion he is. First you need to clean him, comb him and try to braid his mane hair and after that you have to deal with the dress code. Create a new look and combine your sense of style with Jasmines taste. 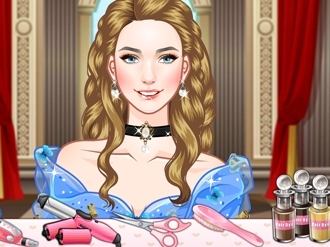 Would you like to be Cinderella's fairy and dress her up at Fynsy's beauty salon? Poor Cinderella was badly treated by her step mom and step sisters, and they only allowed her to wear old rags while she did the housework. She needs to rush to the ball to meet the prince and she should look charming to impress him. Help Cinderella get away from the miserable existence as a chambermaid, and become a beautiful princess founded on beauty and kindness! Try the pretty gowns at Fynsy's beauty salon and choose one before she meets her love. Don't forget to tell her that she needs to be back before midnight. Do your best and have fun! 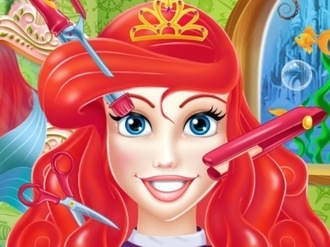 Try to make your client look amazing by the end of this Ariel hair salon game, because if you want to get to cut some other princesses hair, then you have to do well. Wash it, dry it and cut it any way you like as long as she looks pretty. 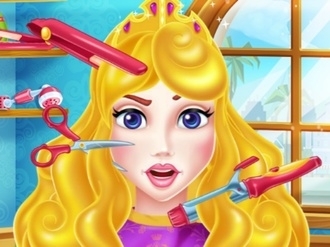 Have a fun time with our new Aurora hair salon game in which you will have her as a client. Make her hair look amazing by washing it before giving it the look you want with all those hair styling products. Princess Tiana is about to visit your beauty salon tonight. Tonight the grand opening of her own restaurant, and Tiana wants to shine and sparkle! Help Tiana look her best.